These events can cause a lot of stress for some children, and when kids don't have the right amount of support, the events can cause damage. As we learn more about how children's brains develop, we understand that ongoing stressful experiences can cause real damage to the brain and to children's overall physical and mental health and well-being—even into adulthood. The Adverse Childhood Experiences Study (ACE Study), shows us that diseases like diabetes, high blood pressure, obesity, substance abuse, and others are much more common in adults who experienced serious adversity when they were children. The greater number of adverse childhood experiences (ACEs), the more likely adults will develop poor health outcomes. There are a number of different factors that play a role in how children will respond to the stress. The human body is designed to handle some stress. Some stress, like the first day of kindergarten or working on a big school project, can actually be positive and help kids develop resilience. Resilience means being able to adapt and cope with stress in a way that helps you get better at handling stressful situations in the future. Sometimes children's stress responses can be very harmful, especially without the presence of caring and supportive adults in their lives. When children experience a very stressful situation once or are exposed to a chronically stressful environment, the body's natural way of dealing with stress (the fight, flight, or freeze response) can become harmful. When this happens, it results in something we call toxic stress—which can lead to behavior challenges, sickness, and mental health issues. Children can be protected from this toxic stress through the loving and supportive adults around them, especially parents or caregivers, who can reassure them and help them heal after they have experienced something traumatic. Safe, stable, nurturing relationships counteract the effects of toxic stress. Parents Were Kids Once, Too! What happened to parents when they were children can affect their health now as adults. Parents' memories of how they were raised can shape the way they raise their own children. Sometimes parents who have experienced ACEs have trouble when stressful situations occur. They might lose their temper more quickly or have more health problems, or they may struggle with depression. Many people, including parents, may use unhealthy ways to help calm down—yelling at partners or children, smoking, drinking alcohol, or using drugs. 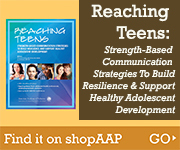 Parents can instead learn healthy ways to cope. Mental health treatment, physical exercise, exercises to help improve self-regulation and keep a positive mental attitude, meditation, and talking to peers can help parents protect their children from also having ACEs. 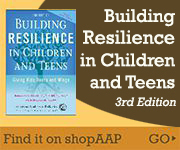 Parents and other loving adults are very important in helping children practice resiliency. Parents need to take care of themselves before they will be able to help their children, similar to the instructions heard on an airplane—"Put on your own oxygen mask before assisting others." Identify your circle of support. Parenting is hard, especially when families have experienced difficult times. No one should try to do it alone. Who do you turn to for advice or help or just to talk about what's going on in your parenting? Seek support from counselors, physicians, family and friends, faith communities, and others who can help you see what you are doing well and to connect you with more support when needed. Take care of yourself physically. Eat healthy, get enough sleep, practice an exercise routine, take care of your medical needs and give yourself some child-free time to relax. Identify things you love to do and make time for them. Identify ways that help you calm down or handle stress when it happens. Take a walk, practice deep breathing, talk to friends, or meditate or pray. Take time to think about what happened in your own childhood and how it could be affecting you now. If this is difficult or painful, consider getting support from a counselor or simply ask someone you trust for help. Once parents have found ways to stay healthy even in stressful times, they can provide support to their children. What does this support look like? Be a positive influence in your children's lives. Your children need to know that you love them and believe in them. Ordinary things like playing together and spending time together can help with this. "Do you see anything red?" "Please help me put the cans into the cart." Or, if possible, consider going to the grocery store on your own, without your children, or going with a friend who can help. Model good behavior for your children. They look up to you and will try to do what you do. A good parenting practice is to stay as positive as possible. For example, give your children praise; try to notice the good things you see them doing each day. Be aware of what ACEs and other hard times can do to your children's brain development and overall health. If something traumatic happens to your children or family, share that information with your pediatrician. Medical professionals can help you and your children get the support you need. The earlier you get support for your children, the easier it will be for them to heal quickly and continue living healthy and less stressful lives. Trauma Tool Box for Primary Care (Copyright © 2014 American Academy of Pediatrics). Project funded through a grant (UC4MC21534) from the Health Resources and Services Administration, Maternal and Child Health Bureau.